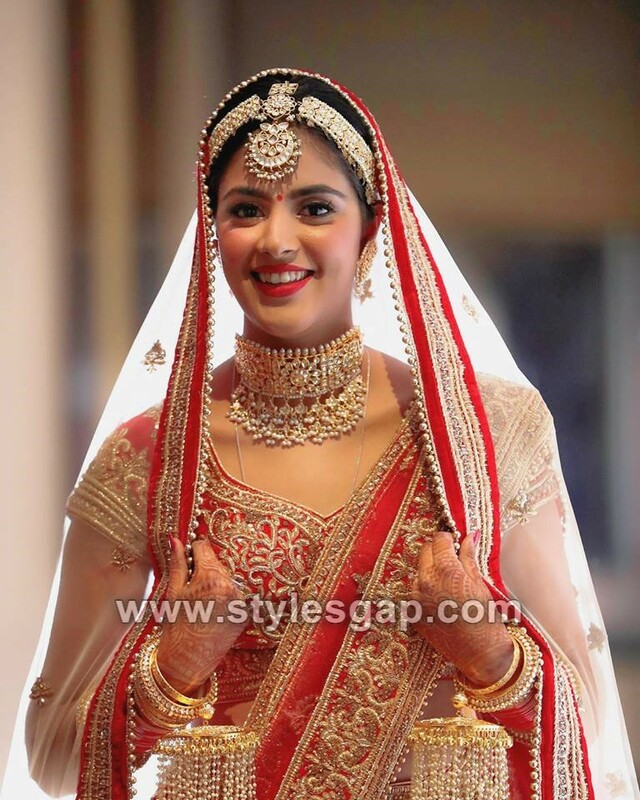 The rich inspiring Indian cultural tempts us all to look for its latest fashion styles and trends. 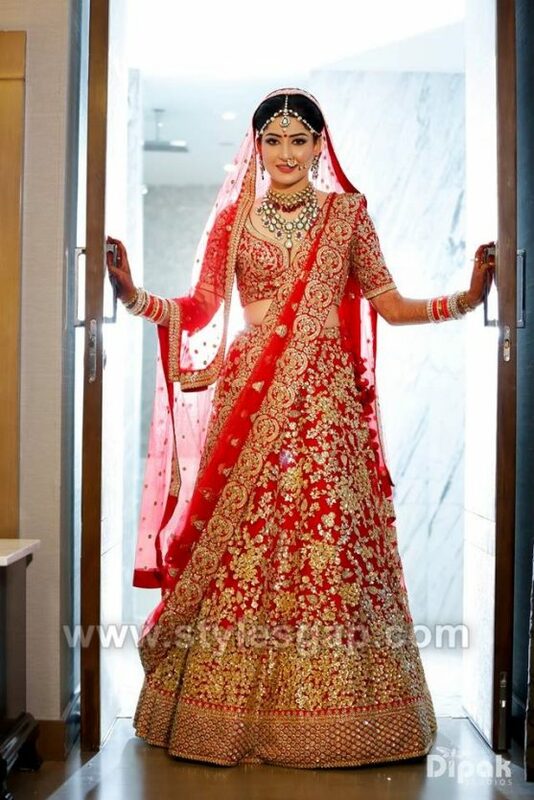 Especially that bridal couture by India’s top-notch designers, in line styling trends, hairdos, makeup innovations and exquisite jewelry designs, your eyes sparkle a bit when you experience visualizing such a fashion outburst. By every hour on the clock, fashion is evolving into every dimension and to catch at its pace you need to get a hold of latest bridal lehenga trends that you can have from the gallery of Wedmegood. 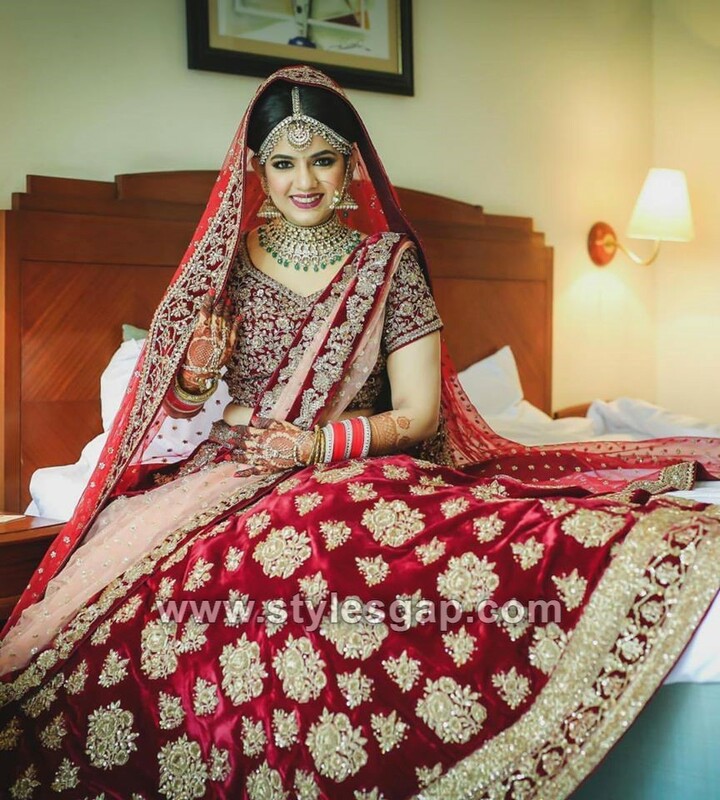 You can also find bridal wear designers in your city, jewelry stores, makeup artists, photographers and everything you need to plan your wedding at WedMeGood’s wedding planning app and site. 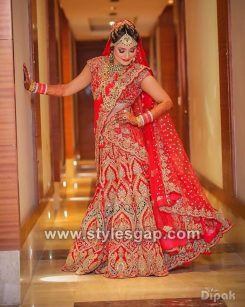 Here we are sharing the Latest Indian Bridal Dressing Trends 2018-2019. Attention all brides to be! Stylesgap brings you the best of the Indian Bridal trends. 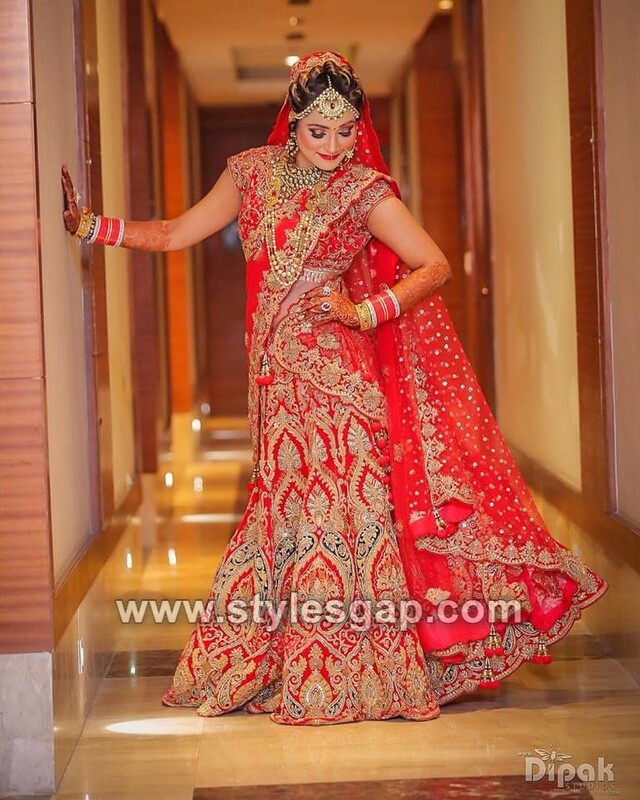 A complete package to encompass all the bridal dresses, jewellery designs, makeup trends and latest bridal hairstyles, so fasten your seatbelts and grab on to this dose of fashion insight. 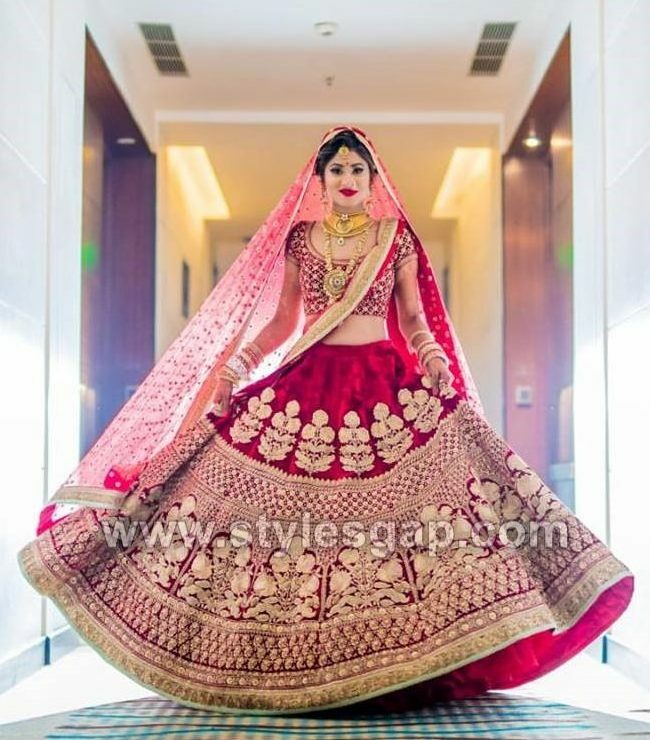 Let’s wander through the streets of latest Indian bridal fashion for the year 2018. 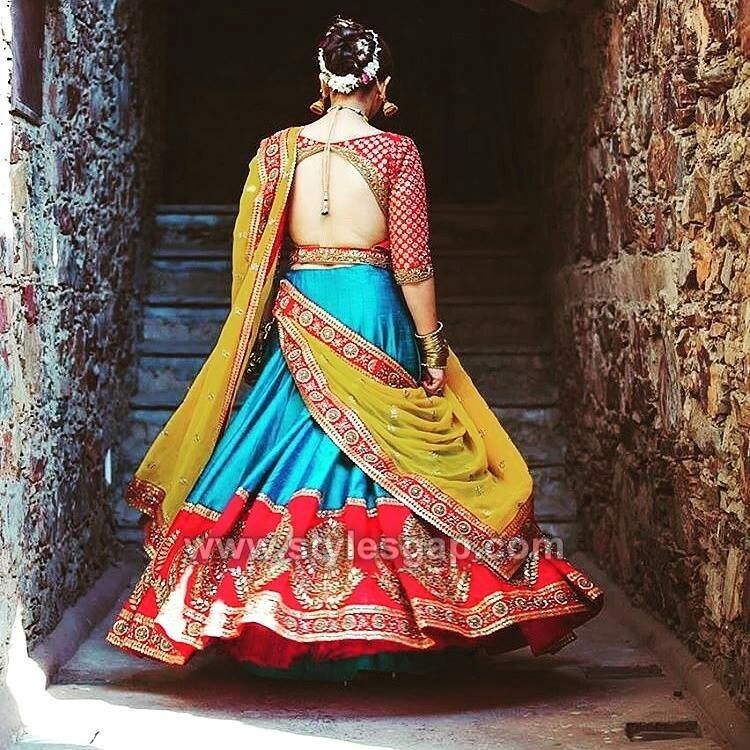 If you are a regular fashion reader, you might be aware of the diversity of the Indian styling trends. 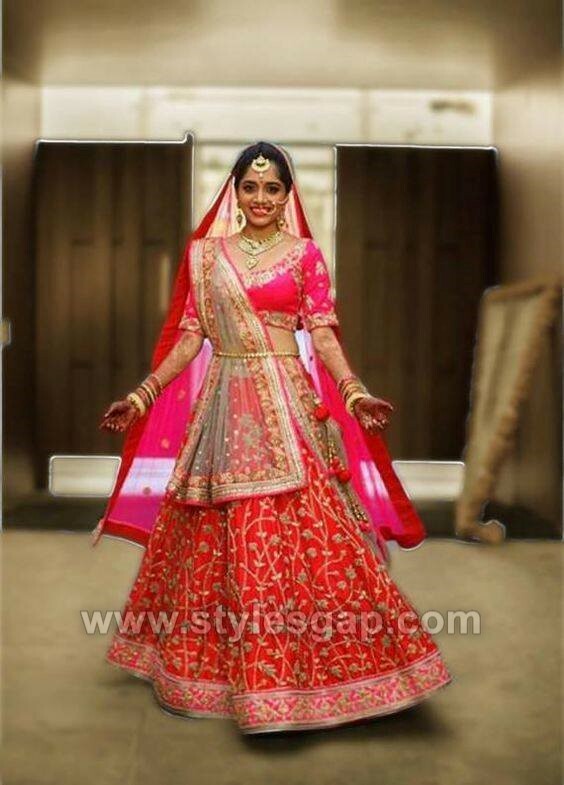 What is in what is out, basic designs for Indian apparels, but what you are not aware of are the latest bridal collections designed under some big labels like Manish Malhotra, Sabyasachi Mukherjee, Ritu Kumar and many others, let’s peak in to find out the Latest Indian Bridal Dressing Trends, what they got new for this year. 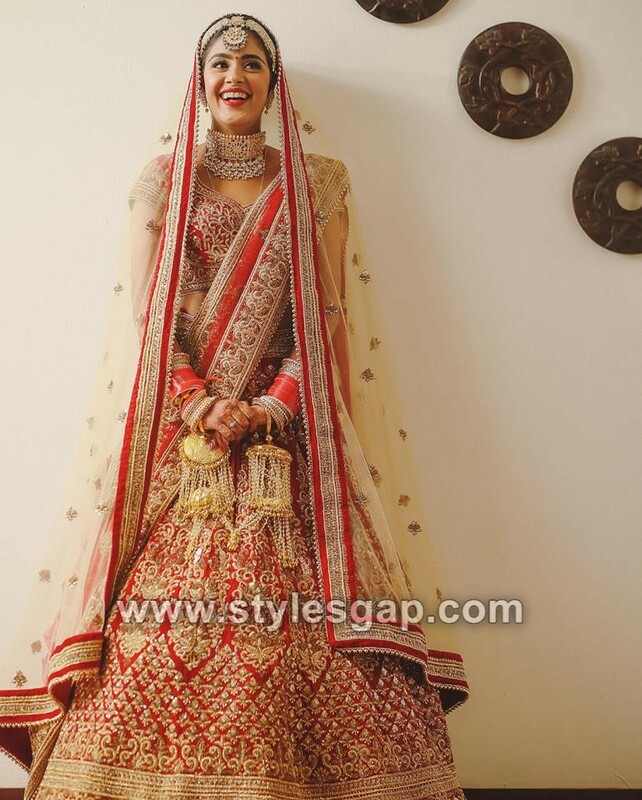 The most popular Indian bridal attire, lehenga choli never gets old. Every year it is blended with few add ups and it creates a magic. 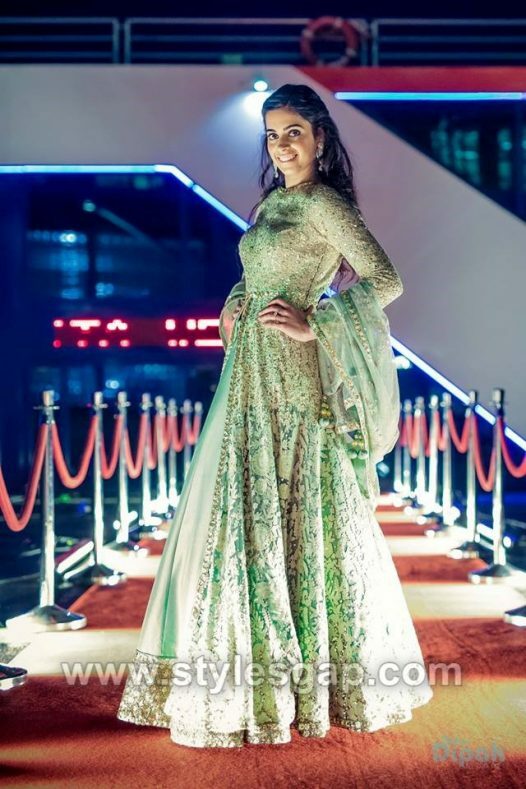 This year’s lehenga choli collection carries defining and phenomenal embellishments over the voluminous lehenga and gleaming work of dabka, zardozi and zari over the draping dupatta. The top is simple and contrasts with the theme. Most designers also pair lehenga choli with a shimmering chain belt in ivory of silver with heavy tousles. As waist belts are under the major spotlight this year, their infusion into the bridal dresses is also a common sight to see. But the way Indian designers have put these to use is remarkable. 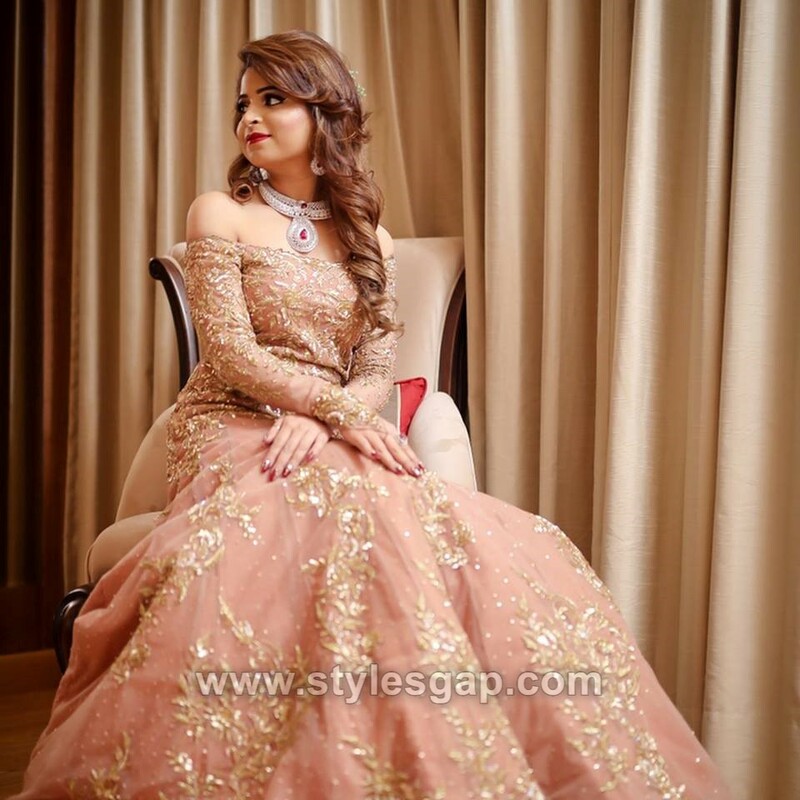 Pretty embellished gowns are paired with fancy glittering waist belts. This combo makes the dress look smarter and accentuates your natural curves in a decent manner. 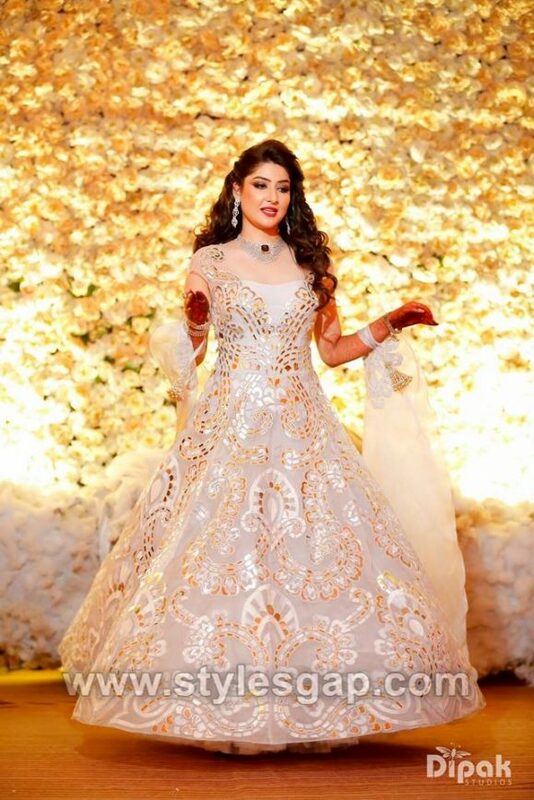 However, the entire dress is finely embroidered with work of zari over chiffon, organza and silk. 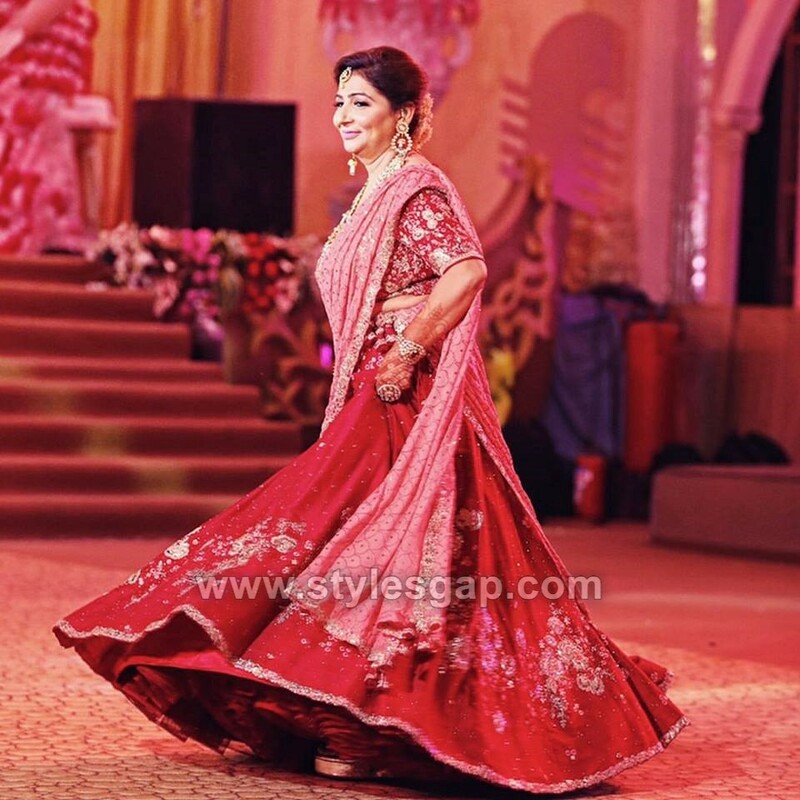 The ever hot trending apparel of India has taken the trend into its fold. The richly embroidered sarees in ivory and silver are the next hit of the wedding season. 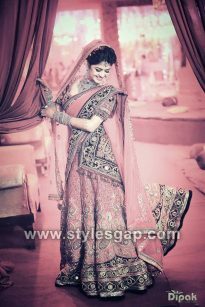 These sarees are styled in various ways, with the added draping dupatta over the head. 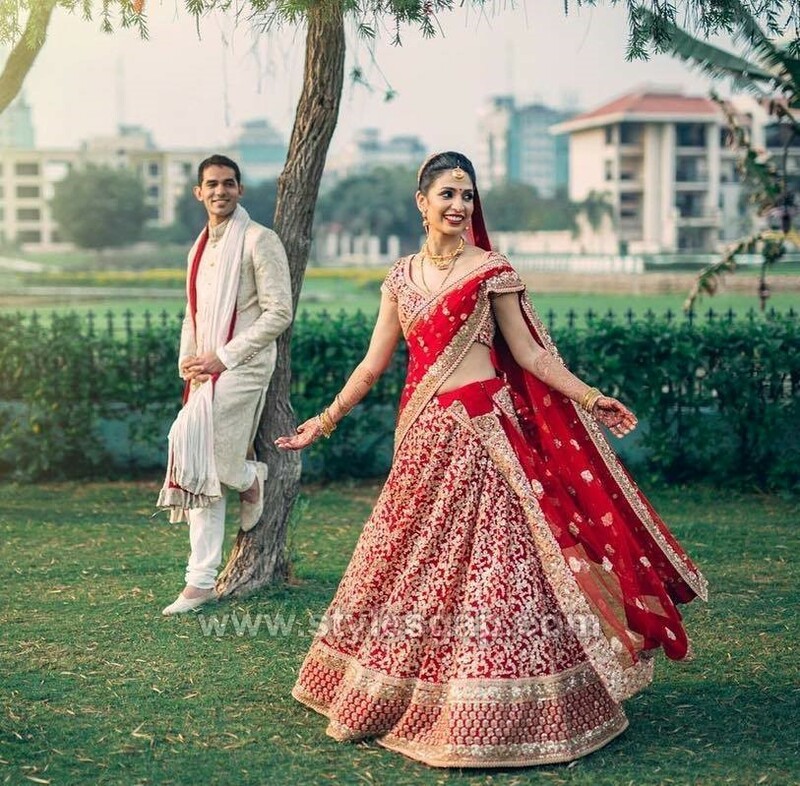 Show belt around the sarees also gives extra charms to the wedding dress. From the finest collection by Manish and other, the puffy long maxi is also the coolest trends for brides to be. You can try these dreamy frocks at Valima or wedding reception. 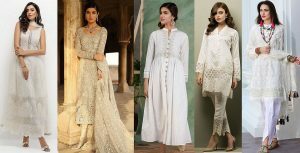 These are classy and modern yet the deep rich floral embroideries are giving them some heavy Indian dose. 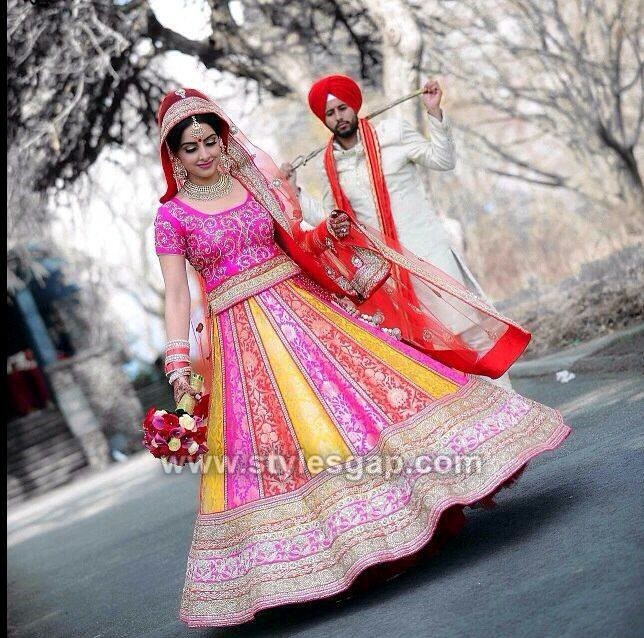 If you are fond of traditional Asian Ghagras then you can try them this year. These are created using mild embroideries and more Gotta work over jamawar or silk. However, the shirts paired with these flared bottoms are rich in embellishments and mellow in hues. Here we are sharing the most famous and latest Indian bridal hairstyle trends. 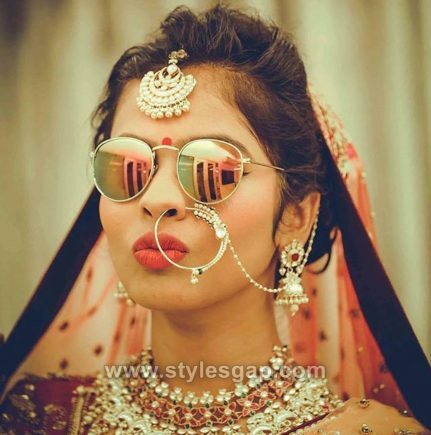 For an Indian bride, Buns works out to be perfect. Whether it’s the simply twisted buns, side buns, messy ones or the ones with heavy floral whorl around them, they all look equally good on a bride. 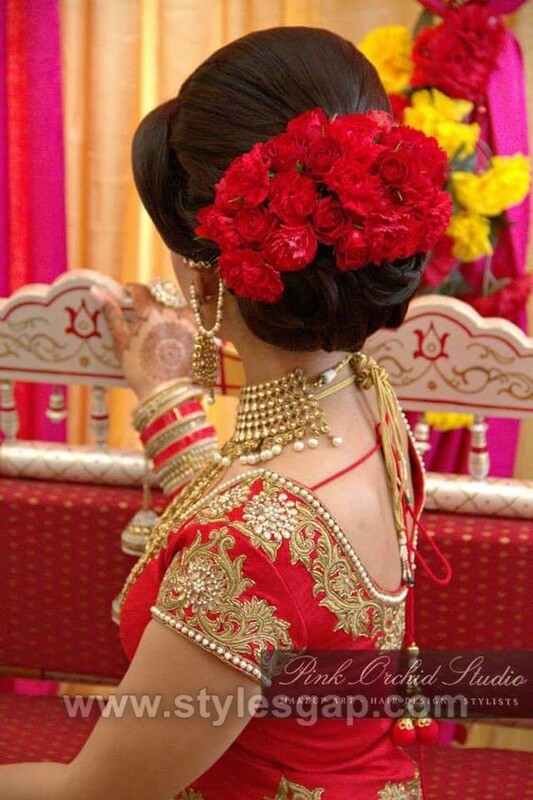 For those who love to flaunt their lovely silky hair on the big day, can try these half updo styles. Here you can get a nice firm puff with side bangs and the rest of the hair are set aside to fall naturally. The bangs will make the face look curvy and young. Shimmering metallic brochures or pretty nice flower are another way to style your hair. 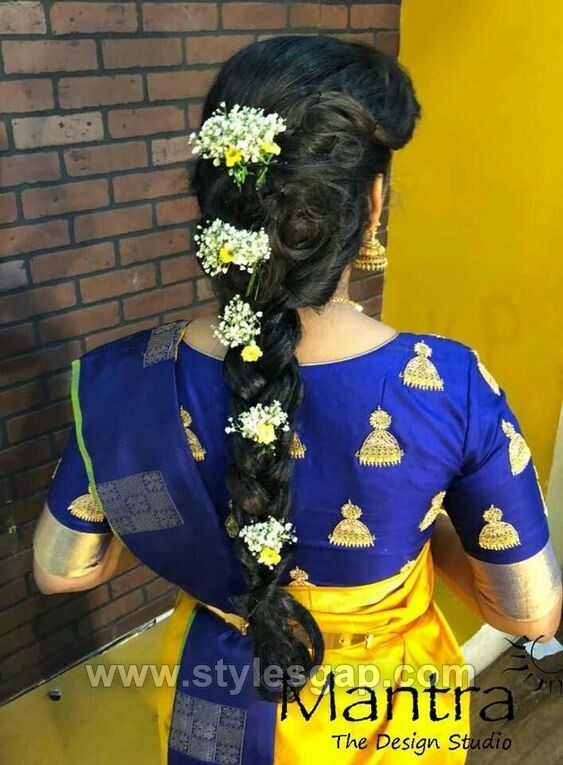 You can have a typical Maharashtrian style long braid or go for modern Elsa style braid, but both will look amazing with the touch of delicate flowers. 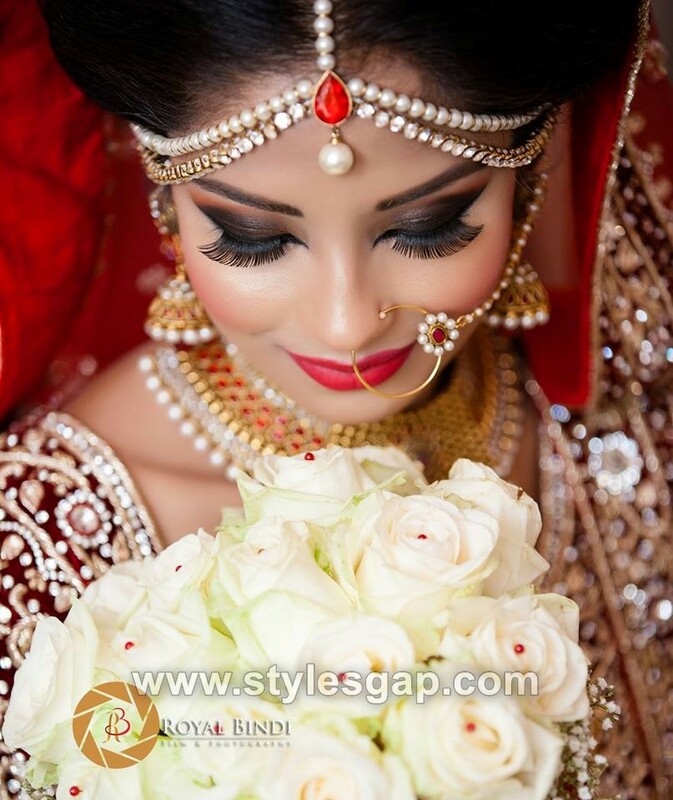 The latest trends for the Bridal makeup speaks volume about accentuating the eyes. How you get your eyes done will decide the future of your makeover. Therefore the eyes are made more prominent with shimmering shadows and a mix of dark and light shades. Heavy liner with voluminous mascara is a must. 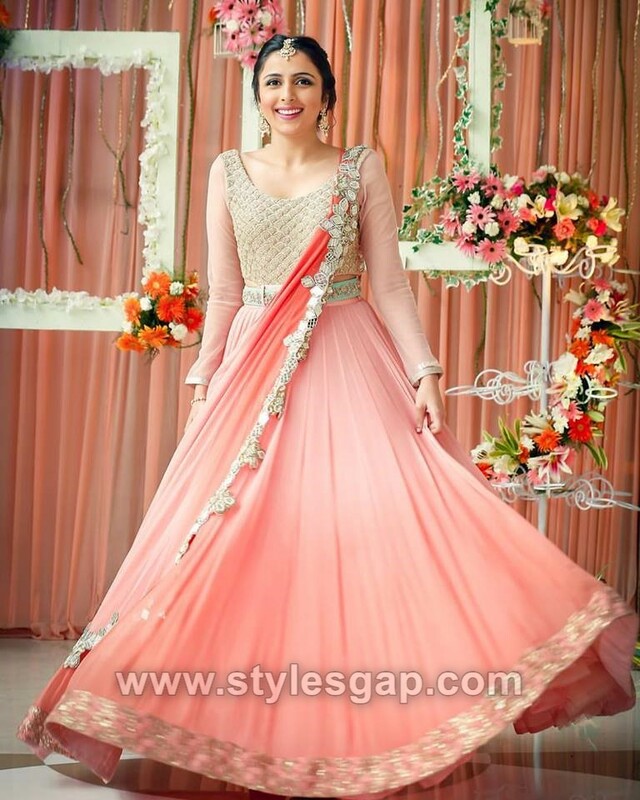 The shade of the lipstick should be according to the dress theme while opting for soft pastel colours is more preferable. To accentuate the lips, try for double shades to create dimension. 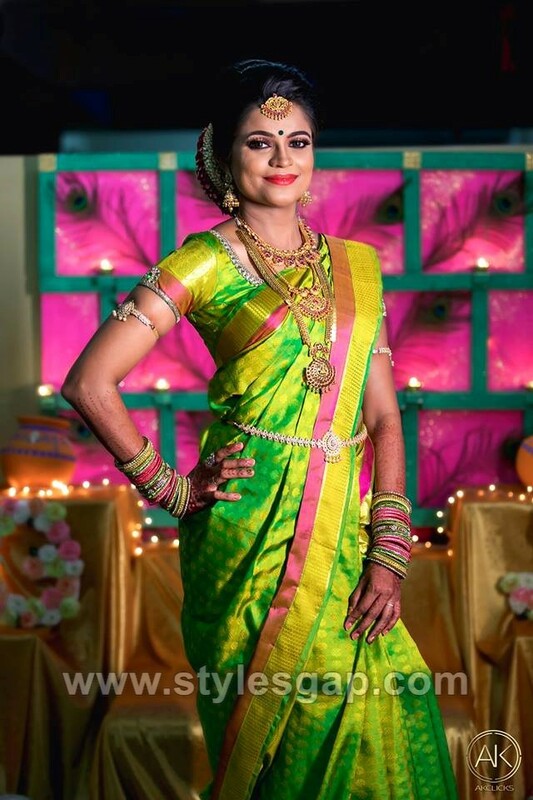 Glass studded Kundan is not the only fascinating thing in town, this year Indian Jewelry is on the move and brings the best of Meenakari, pearls, Jadua, lac and Panchchikam. Each jewelry type is there with glaring new designs, let’s find out. 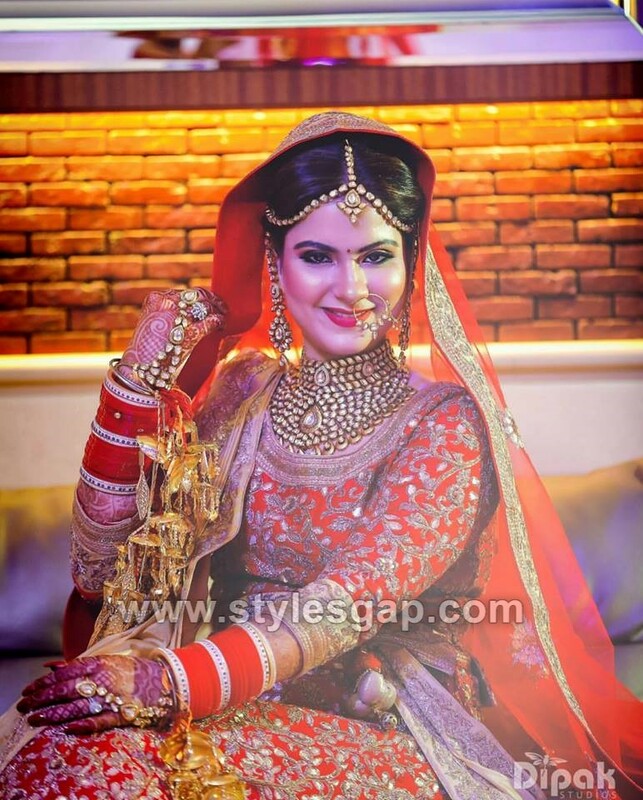 Matha Patti is termed as the trademark of the Indian bride which is when designed in Kundan looks magnificent. 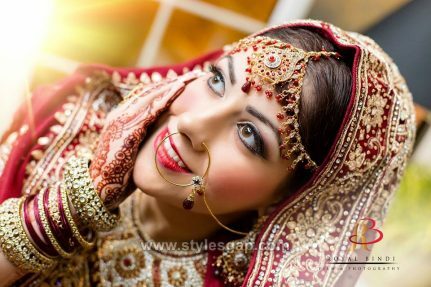 Large prominent Nose ring with heavy pearls or studded glass or emerald is another way to accentuate your Indian beauty. 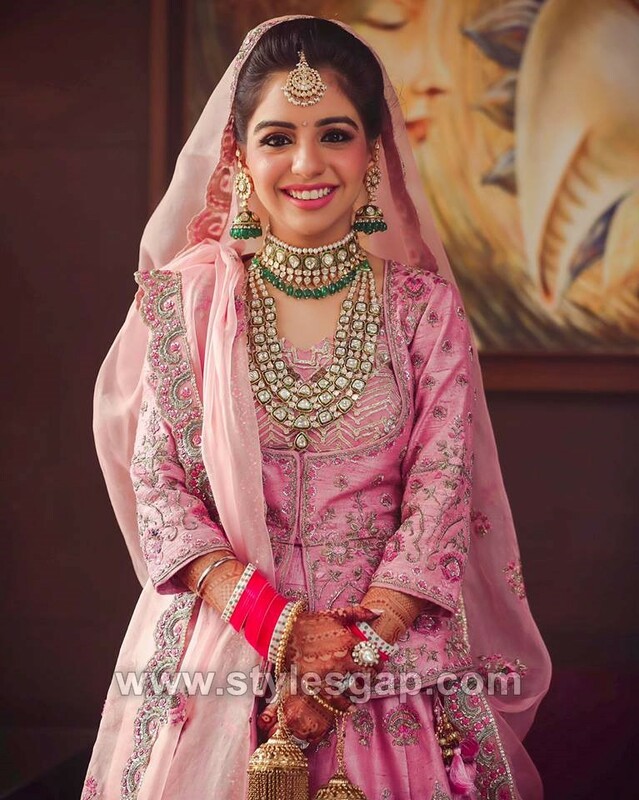 Chokers are hit of the year, especially for bridal jewelry heavily studded choker gives a rich and bold touch to the bridal makeover. These necklaces are the fascinating display of pearls and beads. If you want something elegant and graceful then this necklace will do great.